Safe in and around the water, free to have fun. We want kids to not only be safe in and around the water but also free to have fun. Water safety classes and swim lessons at the Harold Mezile North Community YMCA Youth & Teen Enrichment Center help make this possible. Our facility offers year-round aquatics programming in an adapted indoor pool featuring 4 zero-depth entry lanes and 2 competitive lap lanes. A natural progression promotes safe and effective swimming for all ages—from infants learning to love the water to advanced swimmers perfecting their strokes. The statistics around accidental drowning deaths involving young people are alarming. In order to raise awareness and keep families safe, we’ve made water safety one of our key initiatives and priorities. These courses feature life jacket training, boating safety, emergency swim strokes and basic water safety protocol. 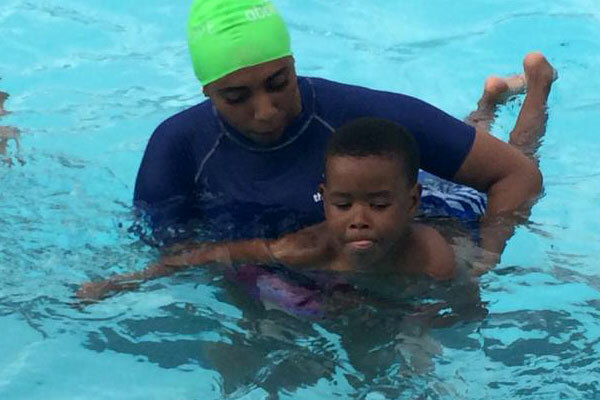 COMING SOON: Family Night water safety classes! Contact the front desk (612-588-9484) for more information on upcoming classes.